J.J. Watt just announced on Twitter the four non-profits he will partner with for Hurricane Harvey recovery efforts. “What we’re gonna do is we’re gonna rebuild homes. We’re gonna restore child care with after-school programs. We’re gonna provide food for those who need food and we’re gonna provide professional medical services – for both physical and mental health – for those affected by the hurricane,” Watt said in a video posted on Twitter. 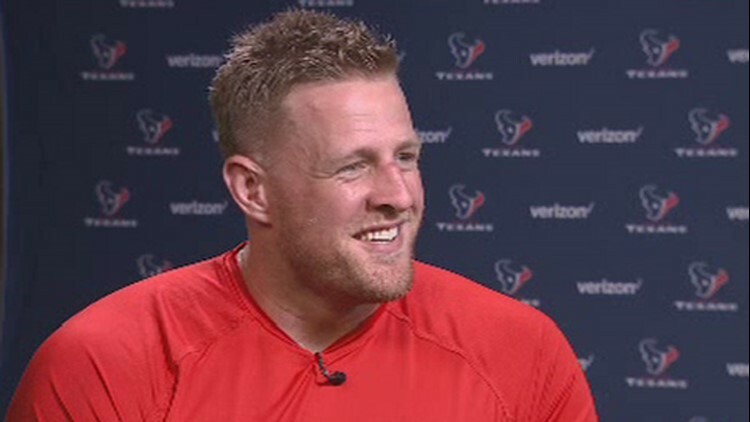 Watt and his foundation chose the following non-profits to receive a cut of the first $30 million. "The remaining $7 million will be set aside for distribution in 2018 as we continue to assess and analyze the evolving relief efforts," Watt said. In the days after Harvey, Watt initially set out to raise $200,000. As more than 200,000 donations poured in from around the world, the numbers quickly grew into the millions, far surpassing anyone's expectations. “There are not enough words to thank you all for your generosity," Watt said in September. "If there is one thing that I have taken away from these last few weeks, it is the reassurance of how much good is out there in our world. When times are the toughest, humanity stands at its strongest and you have all helped to prove that emphatically." Watt said from the beginning that they would take their time in choosing the partners because they wanted to get it right. "With such incredible support like this comes tremendous responsibility. I have spent the greater part of the last month and a half doing my due diligence and meeting with and speaking to as many resources as possible," he said in a statement Thursday. "This $37 million will not be able to help every single person as I so badly wish it could, I have made it my mission to ensure this money makes as large of an impact as possible." He apologized Thursday for the delay since his last update. “I didn’t anticipate breaking my leg so that threw a bit of a wrench into things,” Watt said. Watt is out for the season after fracturing his tibia in the game against the Kansas City Chiefs earlier this month.